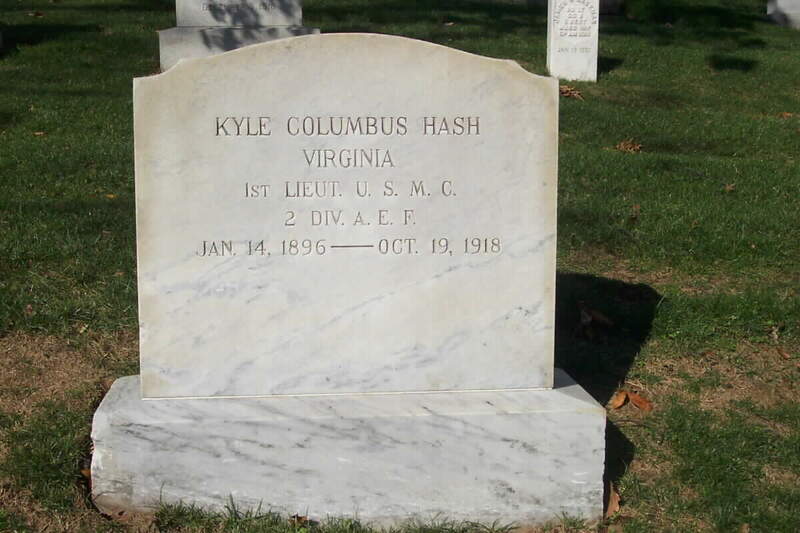 Kyle Columbus Hash was born in Virginina on 14 January 1896. During World War I, he served as First Lieutenant, 165th Marines, 2nd Division, American Expeditionary Forces. While serving in that capacity, he was killed in action in France on 19 October 1918. He earned the Silver Star, the Purple Heart and the French Croix de Guerre. We are actively seeking additional information concerning Lieutenant Hash.